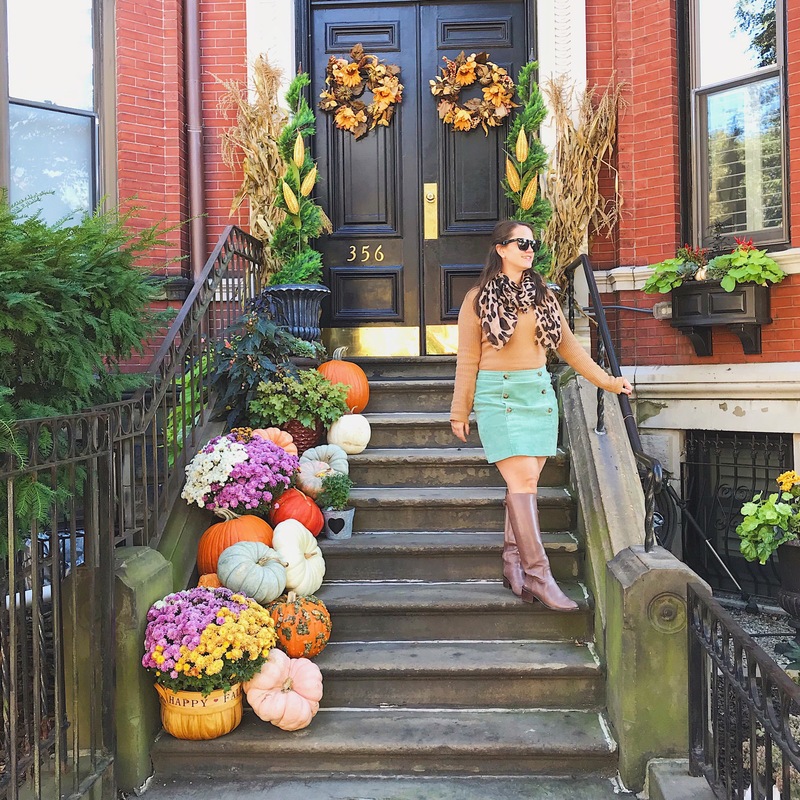 If you live in Boston and are on Instagram I bet you have seen this doorway so cute right? If you haven’t figured it out it is on Malborough Street #356. I always feel like Malborough Streets gets over looked in favor or Newbury, Comm Ave, or Beacon Street. But I personally think Malborough Street is the prettiests streets in Back Bay. 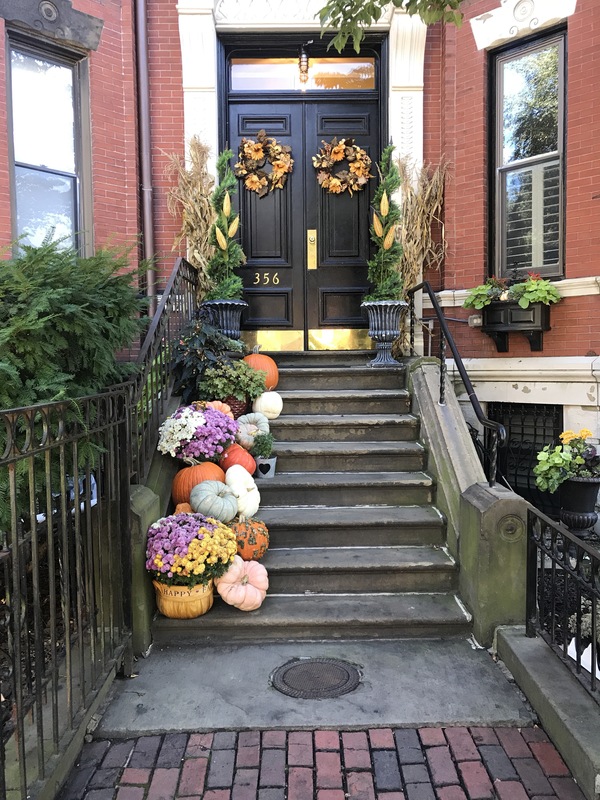 I love October in Boston, people get really into autumn displays. If you wait another week or two people will get in the Halloween spirit and you can see some pretty impressive displays. I love strolling on Malborough Street the week or Halloween. And of course you have to talk a walk through Beacon Hill. 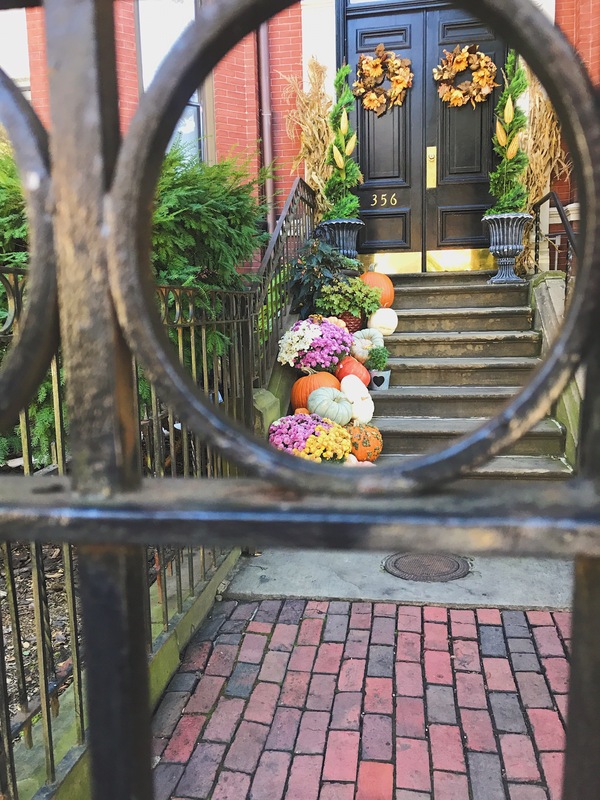 Some people go all out for Halloween in Beacon Hill. Be sure to stop by the public gardens to see some city foliage too!